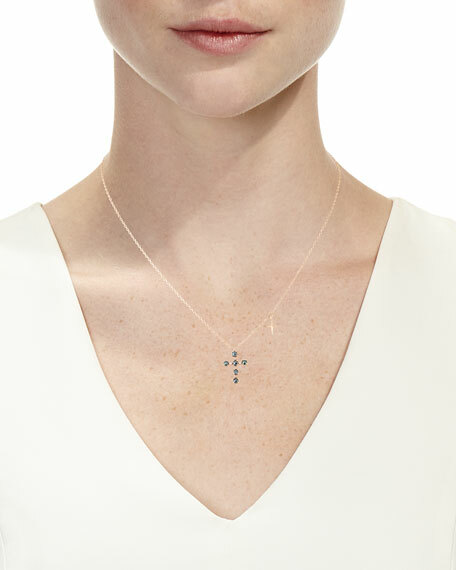 Stevie Wren small cross and star pendant necklace. Polished 14-karat rose gold chain and hardware. Rose-cut blue and brilliant-cut white diamonds. 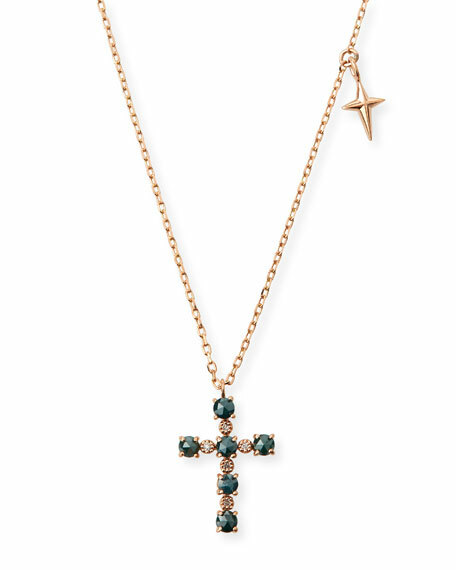 Starburst charm and prong-set diamond cross. 0.37 total diamond carat weight. For in-store inquiries, use sku #2568443.